From the Pisani-Dossi edition. Click images to enlarge. O in la chiaue de soto ti faro intrare. Or to the under key I will make you enter. The scholar begins at the master position. 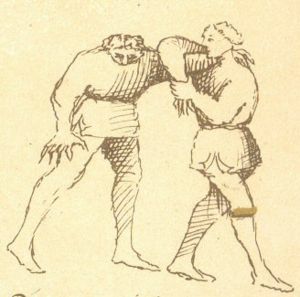 The opponent takes a particular action. The scholar applies the technique. Links to videos of the action. To what should one pay attention to perform this play correctly. Any variations of the technique that are worth mentioning. This page was last modified on 2 November 2007, at 03:54.